A stay at Citadines Les Halles Paris places you in the heart of Paris, steps from Les Halles and Rue de Rivoli. This 4-star residence is 0.3 mi (0.4 km) from Centre Pompidou and 0.5 mi (0.9 km) from Palais Royal. Make yourself at home in one of the 189 air-conditioned rooms featuring kitchenettes with refrigerators and microwaves. Flat-screen televisions with satellite programming provide entertainment, while complimentary wireless Internet access keeps you connected. Conveniences include safes and desks, and housekeeping is provided on request. 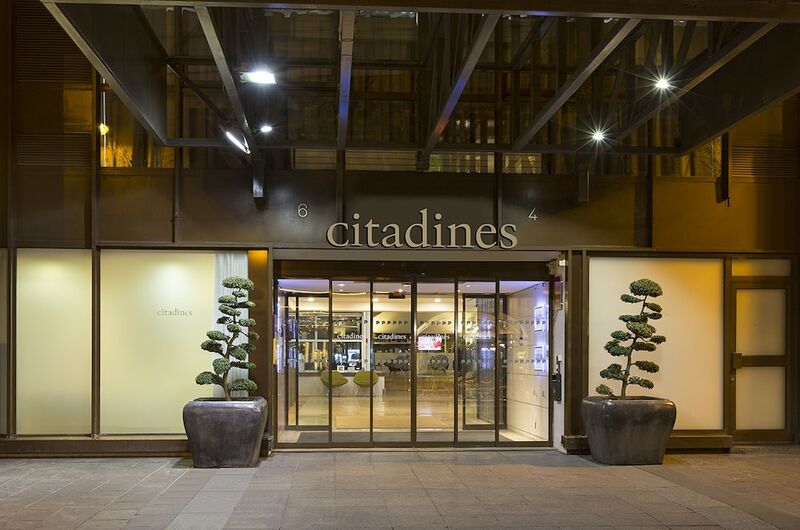 Citadines Les Halles Paris features a fitness center, tour/ticket assistance, and multilingual staff. Public areas are equipped with complimentary wireless Internet access. For a surcharge, a roundtrip airport shuttle (available 24 hours) is offered to guests. This business-friendly residence also offers concierge services, laundry facilities, and dry cleaning/laundry services. Citadines Les Halles Paris is a smoke-free property. Recreational amenities at the residence include a fitness center. This property offers transfers from the airport (surcharges may apply). Guests must contact the property with arrival details before travel, using the contact information on the booking confirmation. A resort fee is included in the total price displayed. One child 1 year old or younger stays free when occupying the parent or guardian's room, using existing bedding. Guests can arrange to bring pets by contacting the property directly, using the contact information on the booking confirmation (surcharges apply and can be found in the Fees section).